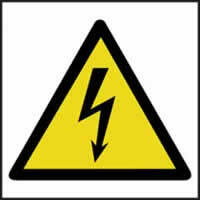 ﻿	UK shops of warning signs, high-quality warning signs manufacturers. login for a speedy warning signs supplies. Competitive shops and manufacturers of high-quality warning signs products at low trade online prices - free shipping on orders £75+ Secure Ordering. Offering antifreeze & screen wash & deicer supplies cycling & car care products like antifreeze & screen wash & deicer including cycling & car care. DIY product stockists in addition to our graphic, sign, and printing service. When purchasing cheap antifreeze & screen wash & deicer stockists will allow web saver discounts on your order when you spend more than £75.00. You will be able to shop for competitively priced antifreeze & screen wash & deicer. After ordering your DIY products you can view your order and invoice if you login into your client area. All previous orders can also be seen on this page. Low cost UK manufacturers of cheap antifreeze & screen wash & deicer at prices usually lower than Asda, Homebase and B&Q.